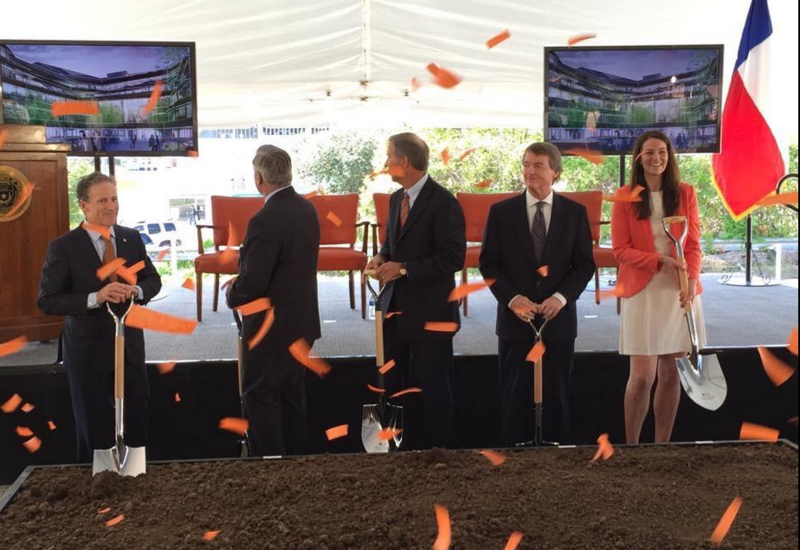 December 12, 2016 / Texas McCombs MBA / Comments Off on Rowling Hall is Coming! 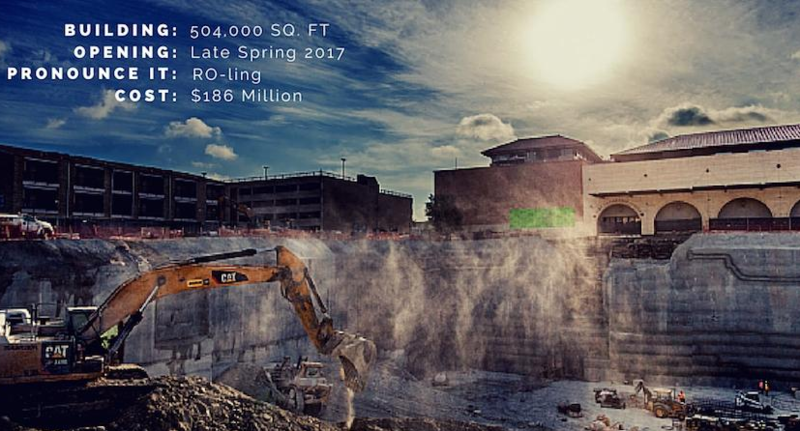 In spring 2013, UT Austin announced a $25 million pledge from Dallas businessman Robert Rowling, BBA ’76, his wife Terry Hennersdorf Rowling, BBA ’76, and their family to fund the construction of a 458,000 square foot graduate business building — Robert B. Rowling Hall! 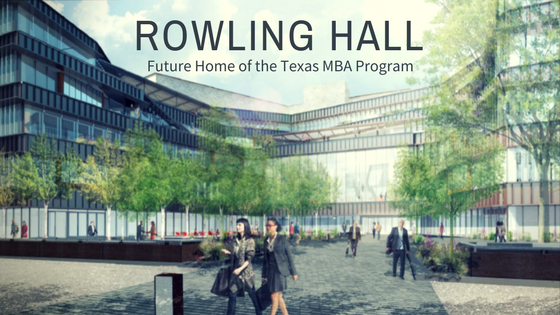 The future home of the Texas MBA – Rowling Hall! Construction plans on the future site of the Texas MBA, Rowling Hall, began fall 2014. 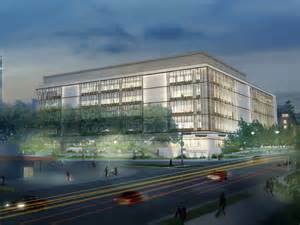 The new building, next to the AT&T Executive conference center on the west side of the UT-Austin campus, is projected to open in 2018. Rowling Hall will be the “launch pad” for projects between the school’s students & alumni, and the wider Austin community. Stand-out features include the active learning classrooms! Construction on Rowling officially began on November 7th, 2015. Texas MBAs are known for their work ethic. They have established a reputation as leaders, team players…They roll up their sleeves and seek solutions. They take risks and try new things. They make things happen. 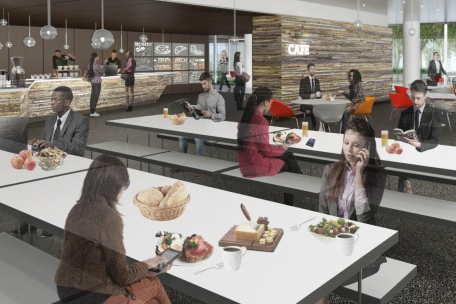 Last year, McCombs held a contest to name the cafe at Rowling Hall. Students from all six MBA programs responded with 127 submissions. A naming committee narrowed the list until student Mackswell Dickson, MBA ’16, emerged as winner, gaining a one-year tuition scholarship. Donor Robert B. Rowling was among the attendees at the final winner’s announcement. The winning name, the “Moontower Cafe,” was announced in an email to all students.